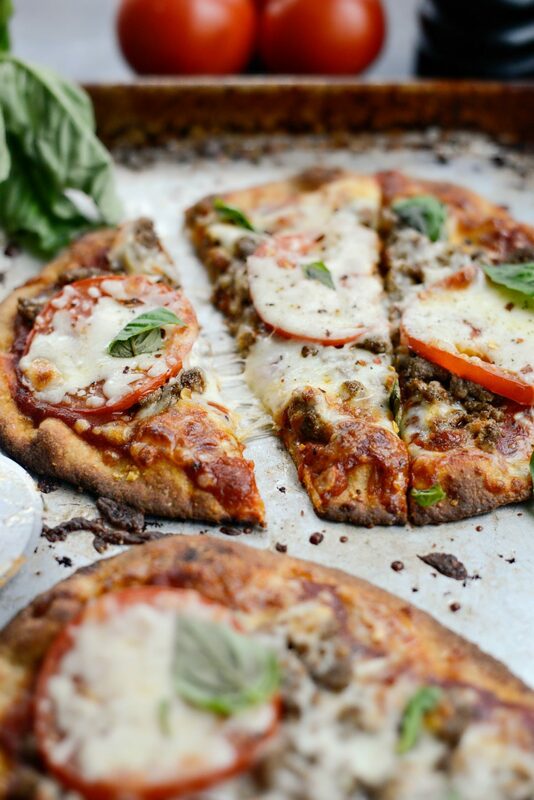 Cuisines collide in this Lebanese Margherita Lamb Pizza! 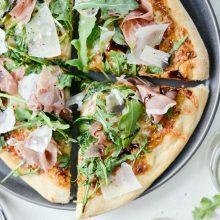 Straight out of the newly published cookbook, Modern Comfort Cooking written by Lauren Grier, this pizza is literally exploding with flavor. 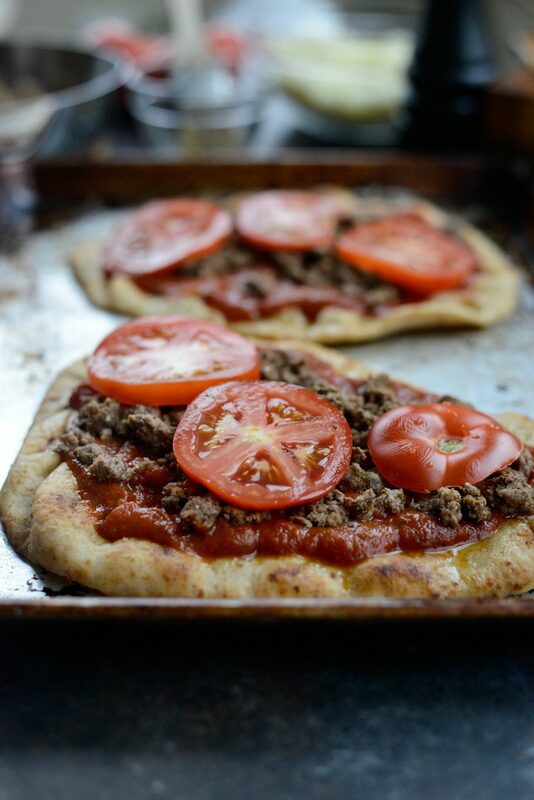 Whole wheat naan is brushed with garlicky olive oil and topped with marinara, perfectly spiced ground lamb, fresh tomatoes and shredded mozzarella. Baked until the crust is crisp and cheese is melty and golden. 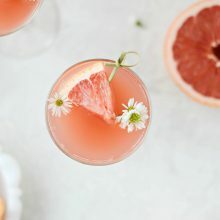 I’m so excited to share with you this recipe along with the new release of my friend Lauren’s newly published cookbook, Modern Comfort Cooking. 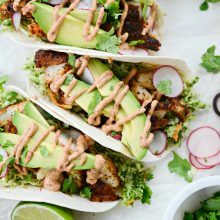 If you’ve spent even a second on Lauren’s blog, you are well aware for her gorgeous photography and her impeccable knack for combining flavors, cuisines and ingredients that you wouldn’t normally think to combine. But Lauren makes it work. 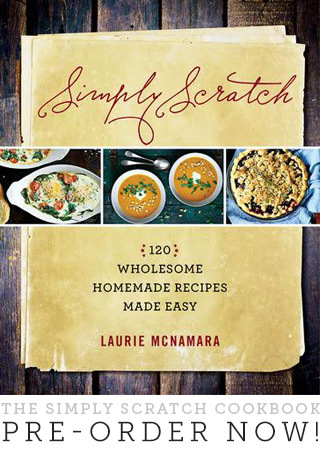 If you ever find yourself in a rut and want to make something out-of-the-box and amazing, this cookbook [and Lauren’s blog] is your answer. 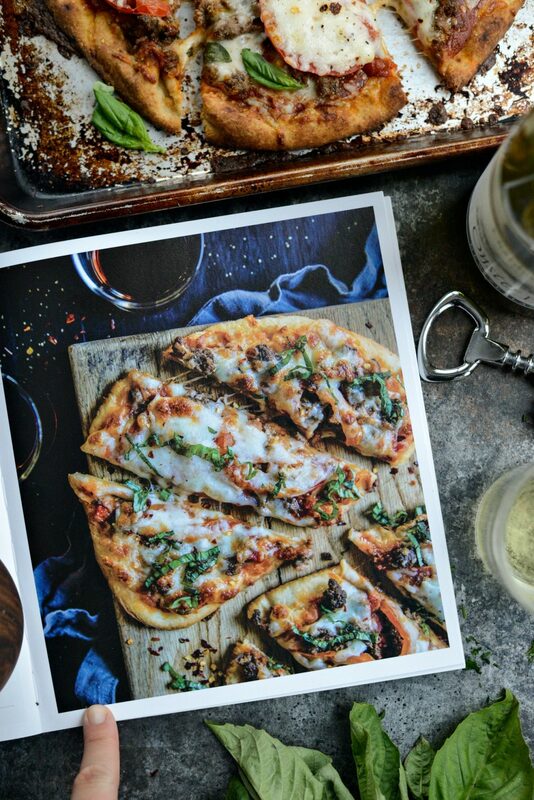 This book has so many creative recipes, like Mumbai Shrimp Tacos with Avocado Salsa and Vegetarian Osso Buco with Gouda Polenta and, of course, this Lebanese Margherita Lamb Pizza. From cover to cover, nothing but mouthwatering photos, modern twists, mash-ups and inventive recipes — brilliantly put together like no other cookbook I own. And the cover is beautiful!!!!!!!! This book is so good, that I had a hard time deciding which recipe to make. Ultimately putting the decision in my daughter’s hands. Naturally they zeroed in on the pizza, but the Easy Kale Queso and the Champagne Marshmallow Treats came in close, real close. I’ll be making those this weekend. 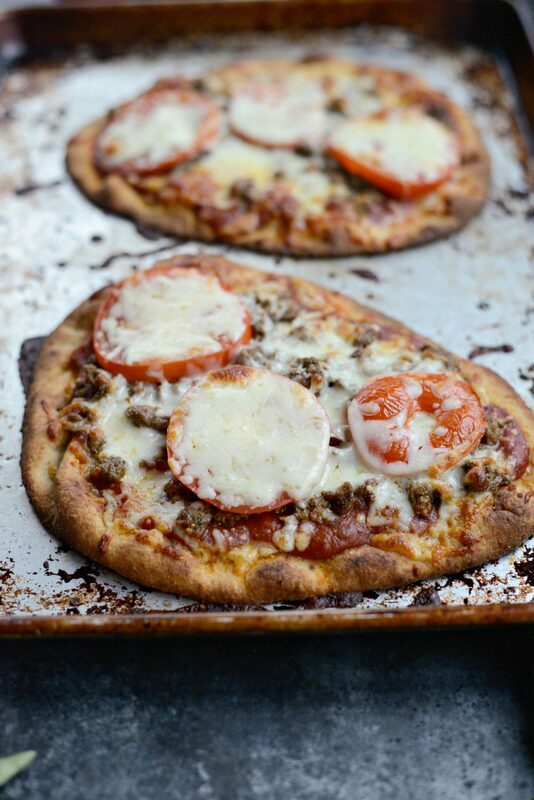 I was so glad my girls picked this pizza, it was simple to throw together and lately, I’ve desperately been in need of dinner recipes like this. 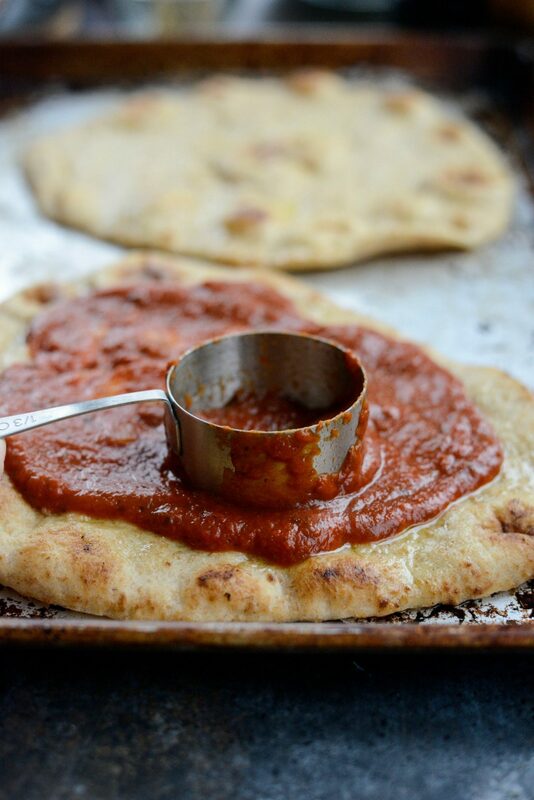 I love using naan as the crust for pizza. 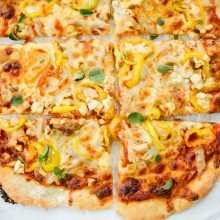 Not only is it the perfect base for this flavorful pizza, but it crisps up beautifully and is a real time saver. 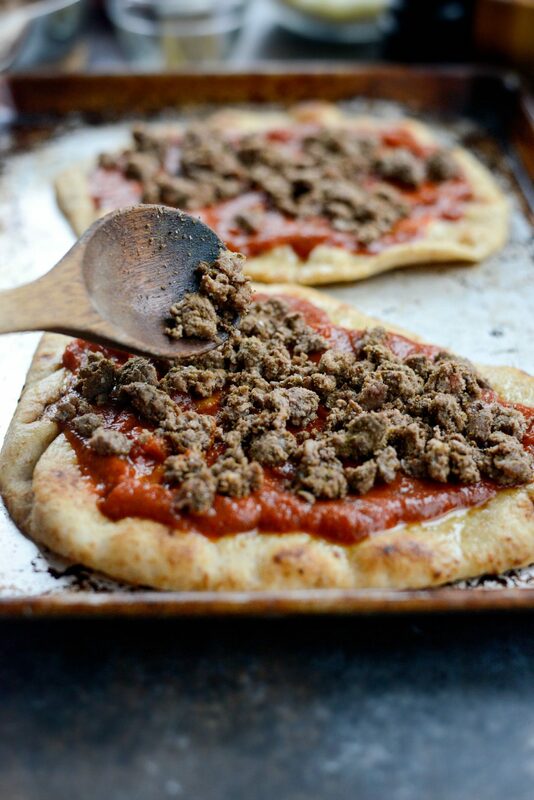 The ingredients are simple; whole wheat naan, olive oil, garlic, ground lamb, ground cumin, coriander, cloves nutmeg, cinnamon, cardamom, salt and pepper. Marinara, slices of tomato, freshly shredded mozzarella cheese and fresh basil and red pepper flakes for garnish. 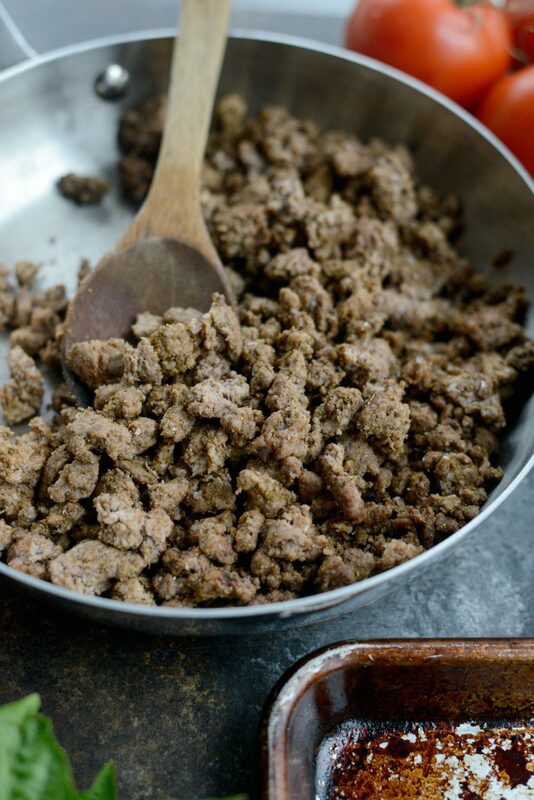 Cook 1 pound of ground lamb in a skillet until fully cooked and browned. In Lauren’s recipe it says to cook it in a tablespoon of olive oil, but I omitted that tablespoon because I’m familiar with the lamb I was using and knew it would have some grease, so I drained the fat before adding in the spices. Lauren has mastered this Lebanese seasoning. Oh my lord is it delicious! 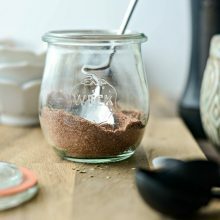 To the cooked ground lamb, add in 2 teaspoons ground cumin, 2 teaspoons ground coriander, 1/2 teaspoon ground clove, 1/2 teaspoon ground nutmeg and 1/4 teaspoon of each ground cinnamon and cardamom. Stir and season with 1 teaspoon of both kosher salt and black pepper. Spray two rimmed, metal, baking sheets with olive oil spray and place two naan down per pan. Then grate 2 cloves of garlic and mix it into a couple tablespoons of olive oil. My clove was pretty large, so I just used one. 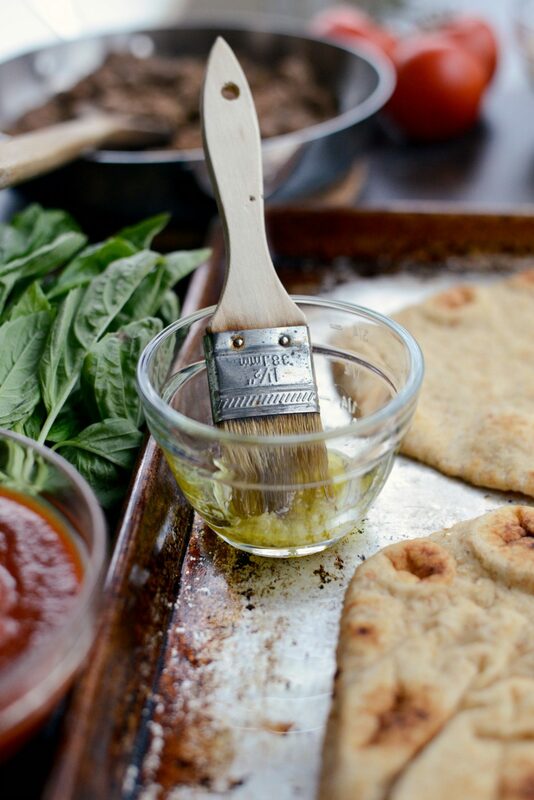 Brush the naan with the garlic olive oil. 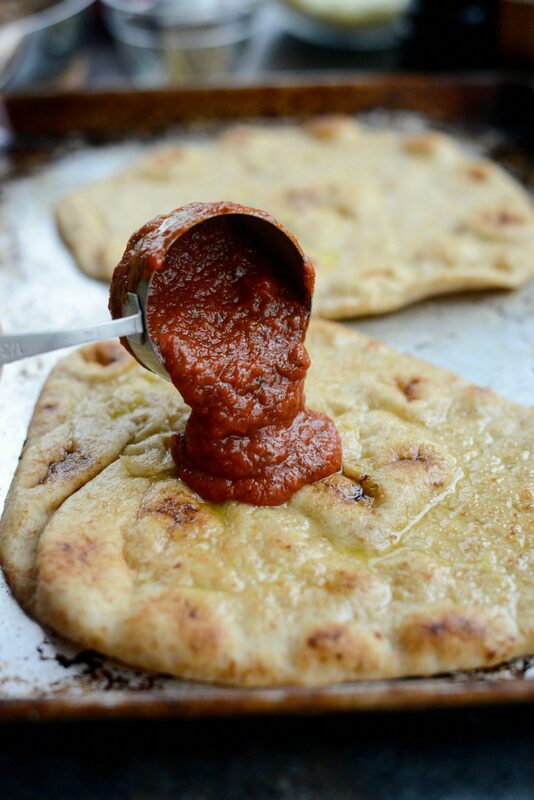 Divide the marinara among each naan, about 1/3 cup per naan, spreading thin and leaving a little of an edge. 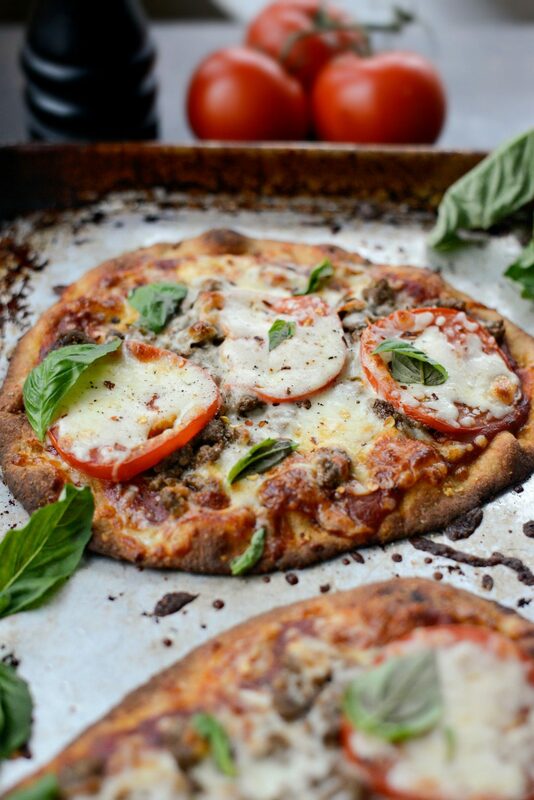 Then divide the seasoned lamb, tomato slices and sprinkle each pizza with mozzarella. Bake in your preheated 425° oven for 12 to 15 minutes or until the cheese has melted and the crust is golden brown. In my hotbox of an oven, it only took 10 minutes to achieve this, so watch closely. Lastly, garnish with fresh basil leaves and a sprinkle of red pepper flakes. 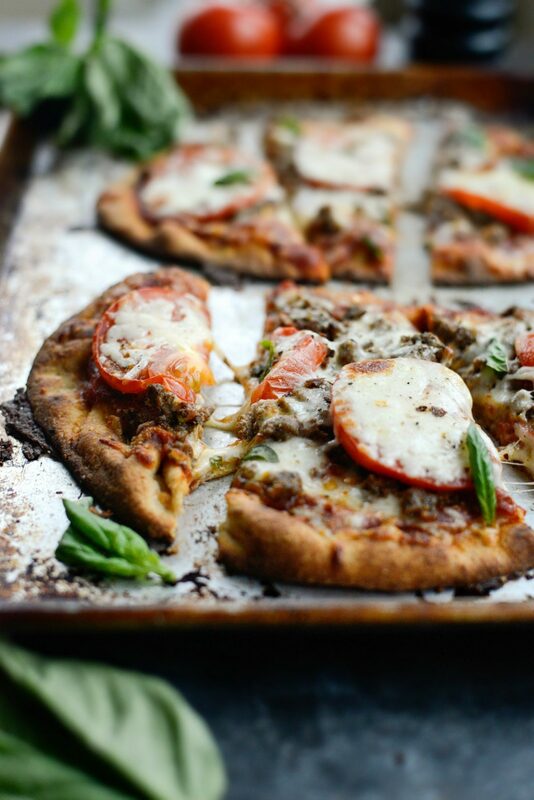 We all loved this Lebanese Margherita Lamb Pizzas! 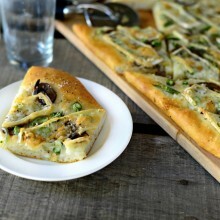 The flavors of this pizza are insanely delicious. The spiced lamb is not overpowering whatsoever and every ingredient marries and complements each other beautifully. 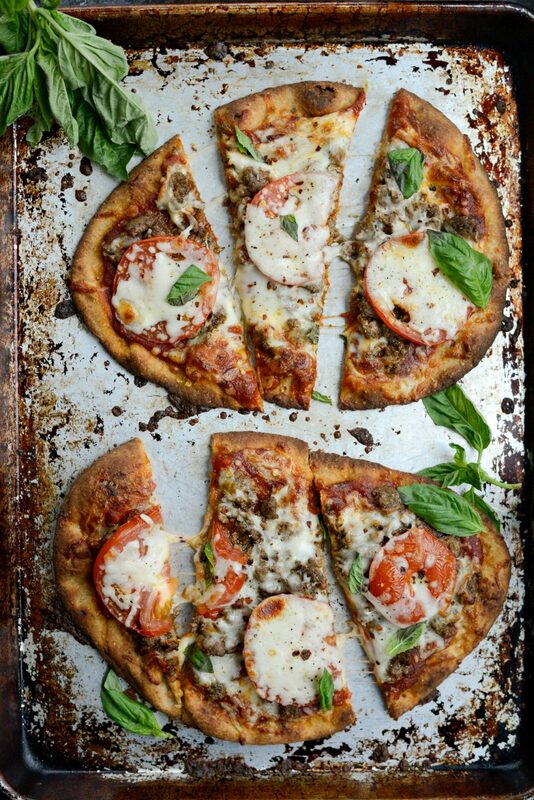 I just know you will love this Lebanese Margherita Lamb Pizza and fall in love with Lauren’s cookbook too! Which by the way, would make an excellent Christmas gift. Just sayin. Enjoy! 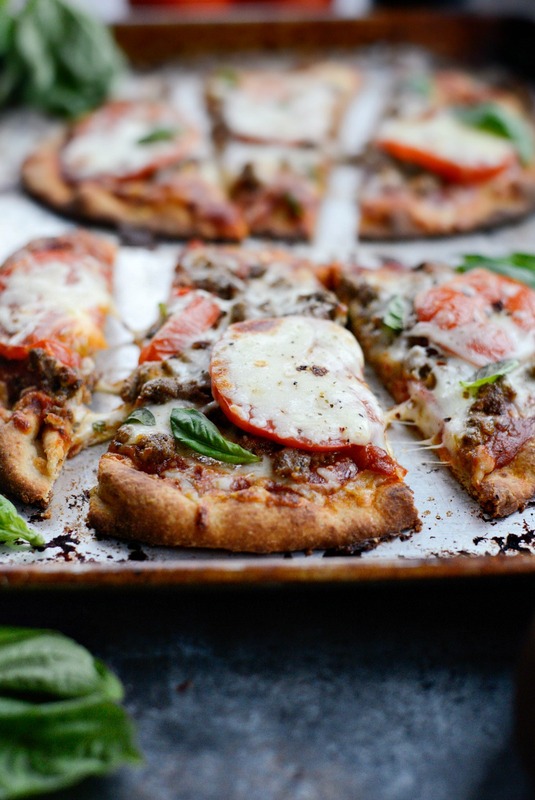 And if you give this Lebanese Margherita Lamb Pizza recipe a try, let me know! Snap a photo and tag me on twitter or instagram! 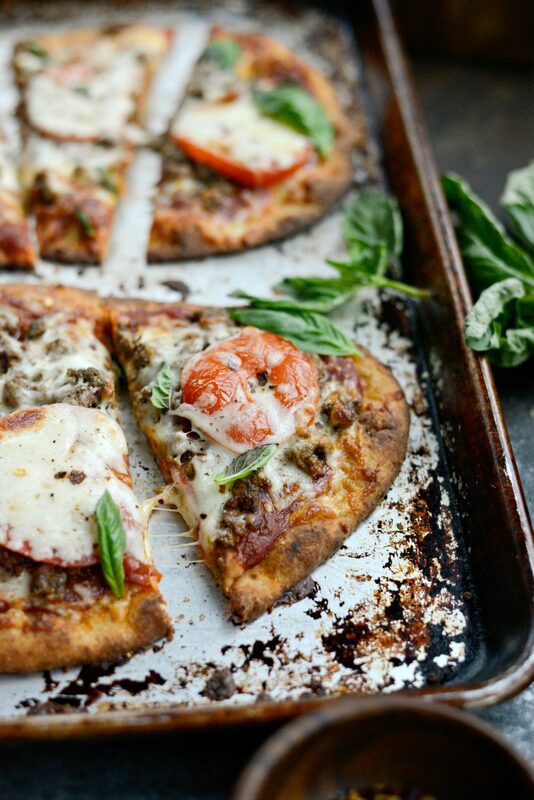 Cuisines collide in this Lebanese Margherita Lamb Pizza! 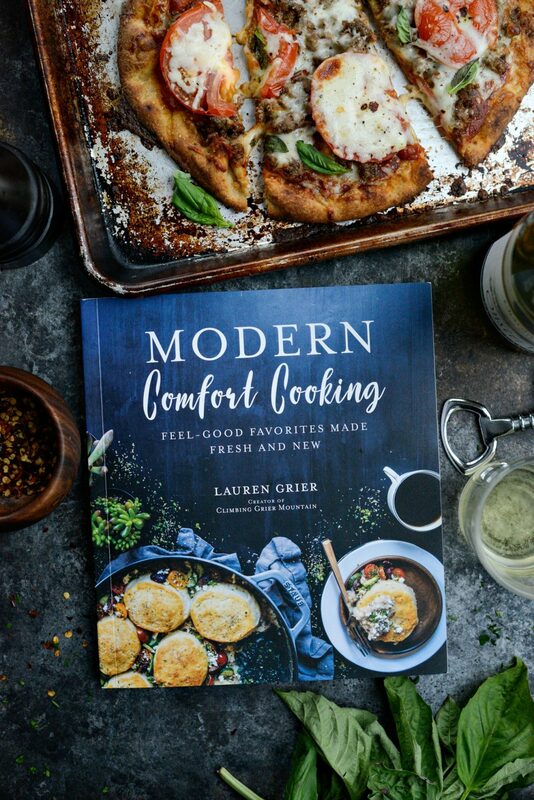 Straight out of the newly published cookbook, Modern Comfort Cooking written by Lauren Grier. 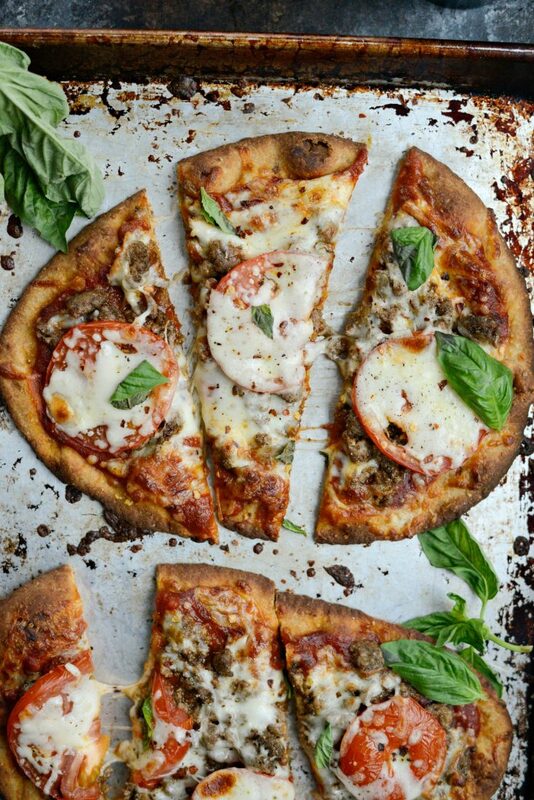 This pizza is literally exploding with flavor. 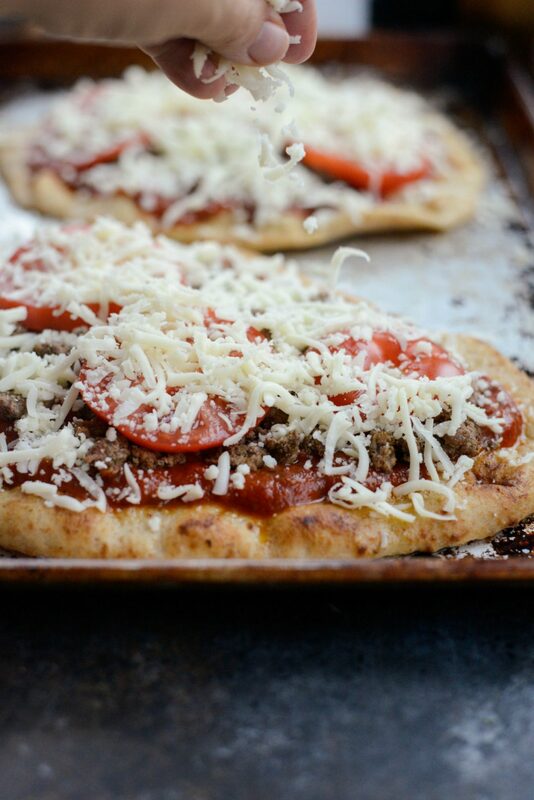 Whole wheat naan is topped with marinara, perfectly seasoned ground lamb, fresh tomatoes and mozzarella. Baked until the crust is crispy and cheese is melty and golden. Next, add the lamb, cumin, coriander, cloves, nutmeg, cinnamon, cardamom, kosher salt and ground pepper. Using a wooden spoon, break up the ground lamb and incorporate all the spices. Continue to cook the lamb until it is no longer pink, or for about 5 minutes. Spray two baking sheets with non-stick cooking spray. Place 2 pieces of the naan on each baking sheet. 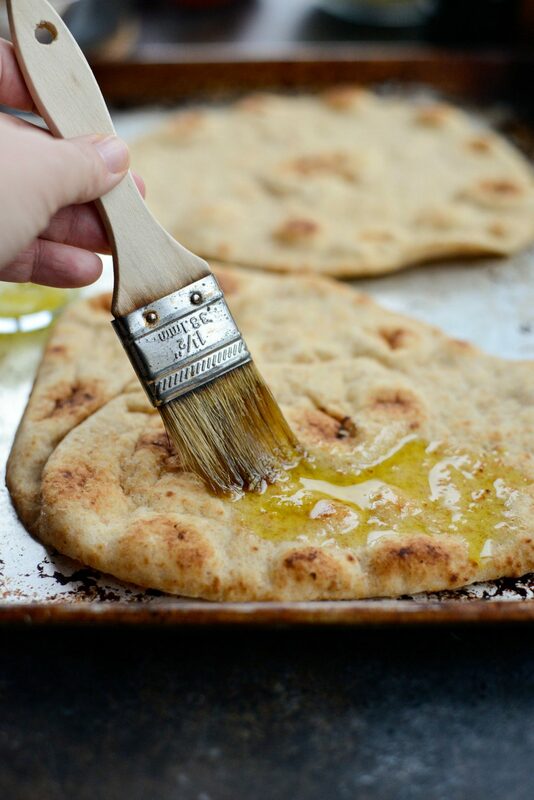 Using a pastry brush, brush the garlic olive oil over the top of each naan. Next, spread 1/3 cup of marinara sauce on top of the garlic olive oil, leaving a thin border. 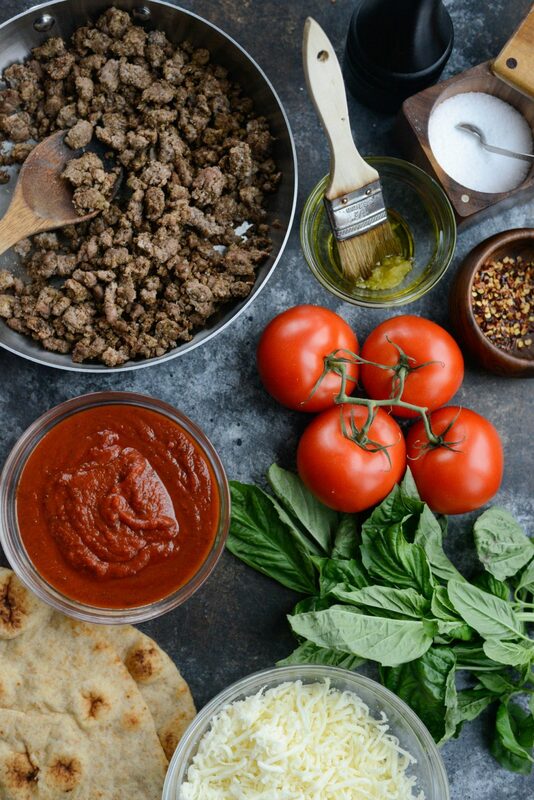 Top the marinara with ground lamb followed by two tomato slices and 1/3 cup mozzarella. Repeat this process until all of the naan have been covered. Place the baking sheets into the oven to bake for 12 to 15 minutes, or until the cheese is golden brown. Remove the baking sheets from the oven and let the naan cool slightly before slicing. Garnish with fresh bask and red pepper flakes. Thank you so much, Laurie!! I’m so glad the whole family loves the pizza. Definitely one of my favs from the cookbook! Love ya lady!! Congratulations on your book!! It’s beautiful and I can’t wait to cook more from it. XO!